The city limits of Magnolia, Texas cover approximately one square mile with much of this area covered by a dense forest that fueled an earlier lumber industry. There are just over 500 households in this beautiful town, as pretty as the flower it was named after. Yet the dense forest creates a problem that takes something away from it’s flowery beauty, blackroof stains consisting of mold and mildew that spread from one home to another through air born spores. 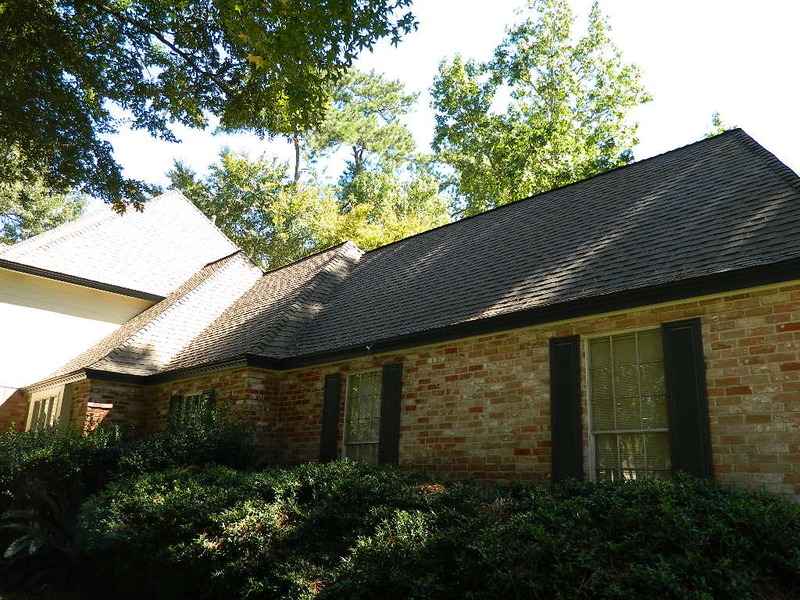 Rain, humidity, and nearby dense woods, in addition to limestone in shingles which feeds algae, all contribute to the need for our Magnolia Roof Stain Removal services. 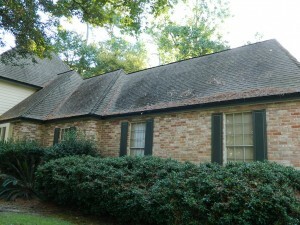 When people begin to look for roof stain removal solutions, pressure washing is assumed to be the only option. But this option only ends up creating more roof damage as the high pressure water erodes the “gritty” shingles on contact, reducing the lifespan of the roof. The best and safest approach for Magnolia Roof Stain Removal is our SOFT WASH no pressure cleaning process that attacks the algae without attacking the shingle, or the environment. This unique Roof Stain Removal solution is sprayed on with less pressure than a garden hose but immediately kills the algae on contact, which most likely will not return for at least three to seven years. You’ll see visible results within five to ten minutes of us applying our Roof Stain Removal product to your roof. If you need for roof Magnolia Roof Stain Removal services, allow us to return the appearance of your home to that original flower-like beauty from years ago with our soft wash process. Call or text us today at 2818838470 for a FREE ESTIMATE. We are located in the Humble Kingwood area and service all of Harris and Motgomery Counties. For more information on our Pressure Washing services visit us at Clean and Green Solutions HERE.